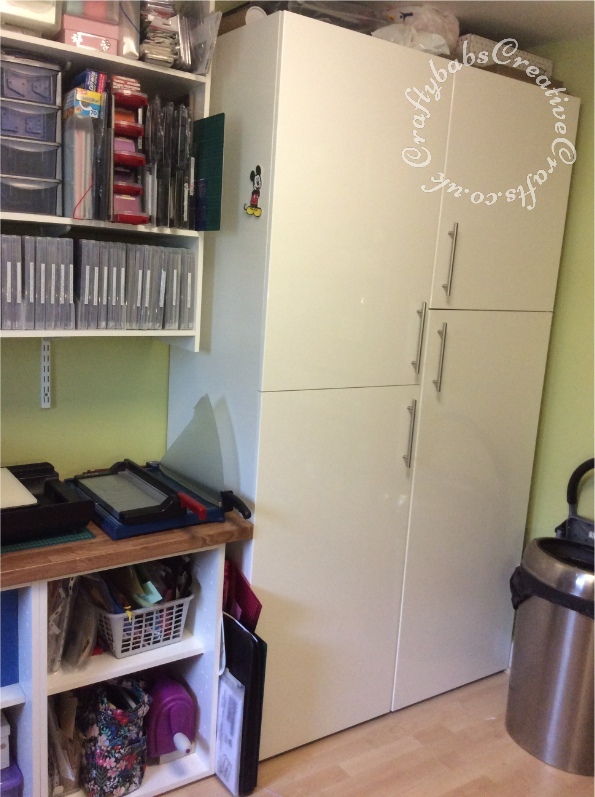 This large cupboard keeps all of my Christmas Crafting supplies, spare glues, sticky stuff, Sewing Machine and other craft materials away from the light, dust free and safe. I mostly paper craft but also like Sewing, Knitting, Crochet, Cross stitch, Jewellery making, Bag making and painting amongst other things. The different sized cupboards allows me easy access when I need something.